Famous painter of portraits and large paintings of historical and ceremonial events. 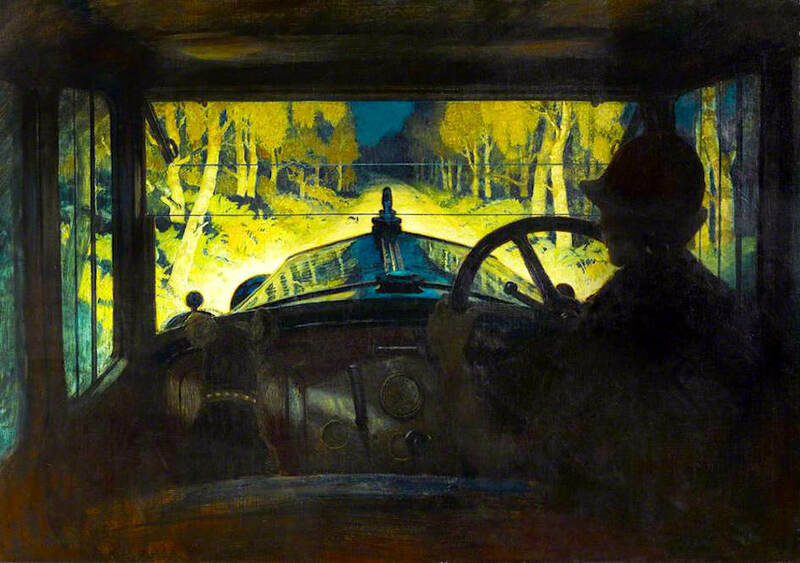 Was commissioned by John Siddeley to paint this painting of view from Armstrong Siddeley car circa 1927. Believed to show his daughter with dog in passenger seat. The Enhanted Road. Image courtesy of Stuart Middlemiss.